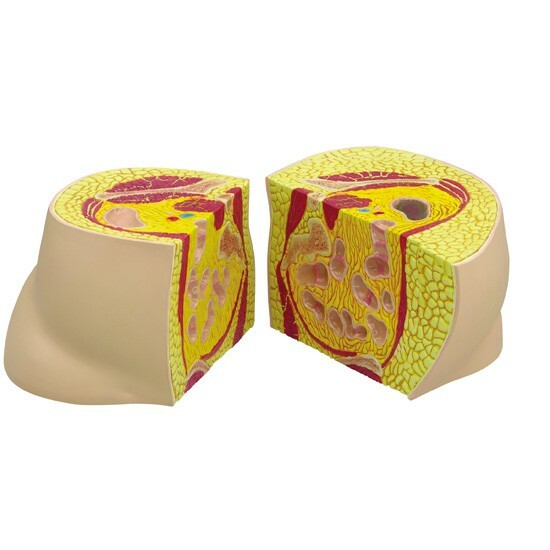 Pear and Apple shaped bodies in two cross-sections (one left, one right) of the hip area. 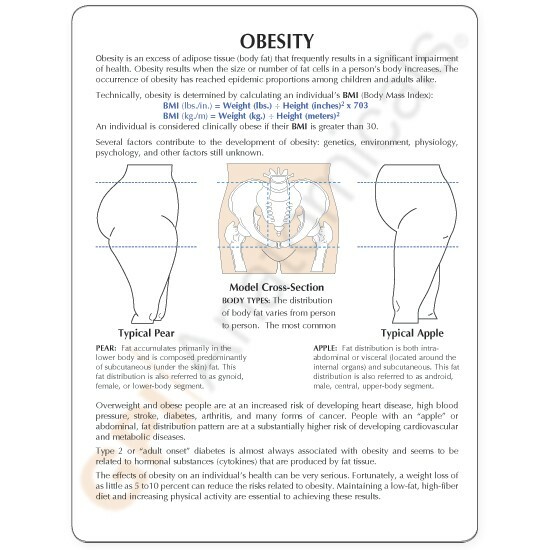 The Pear shape is referred to as: “Pear body fat distribution pattern” or “lower body fat”. 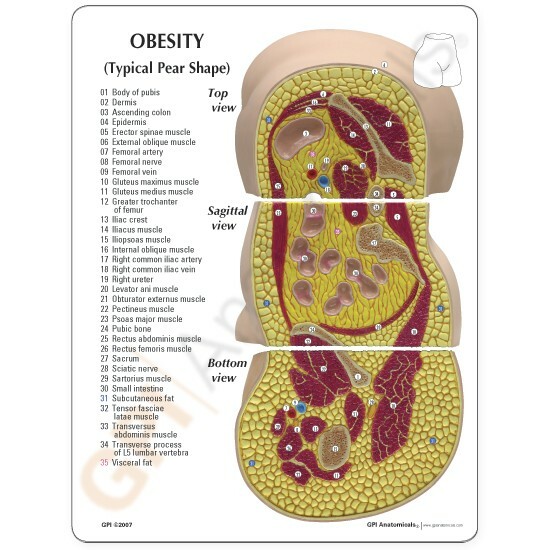 This is mainly composed of subcutaneous fat. 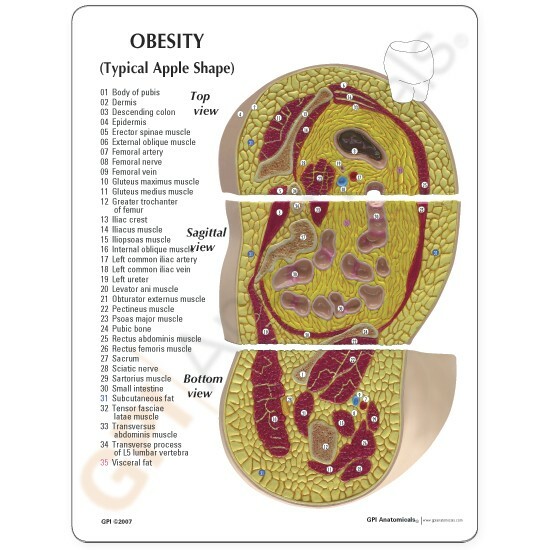 The Apple shape is referred to as: “Apple body fat distribution pattern” or “intra-abdominal fat”. 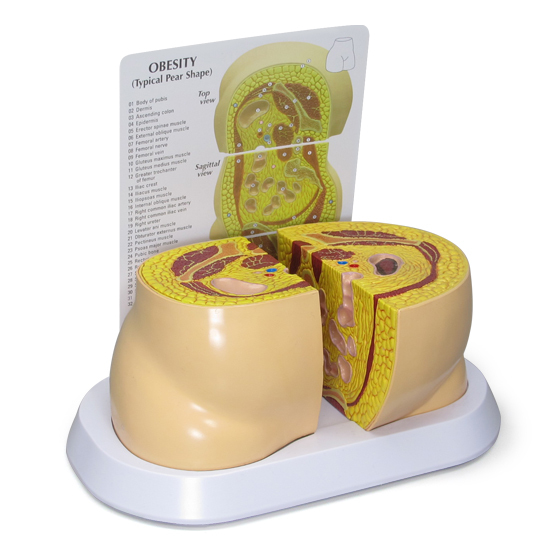 Intra-abdominal fat can be composed of visceral and subcutaneous fat. 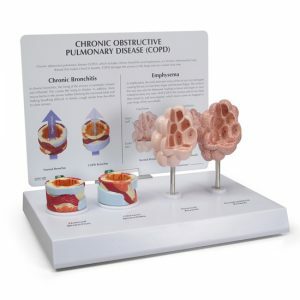 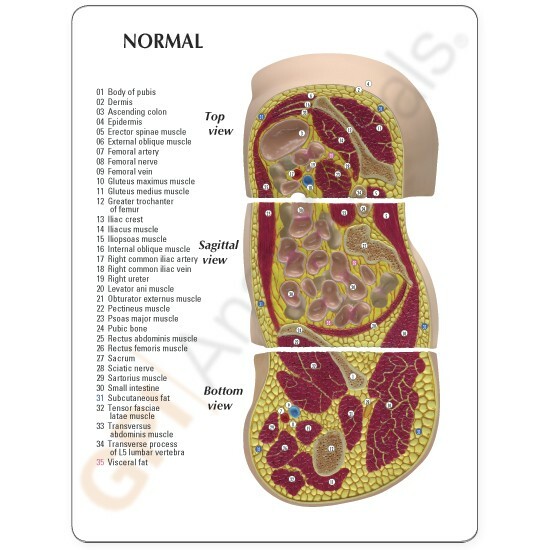 Illustrating effects from obesity such as compression from visceral fat on the colon, common iliac artery and veins, ureter, small intestine, femoral nerve, etc. 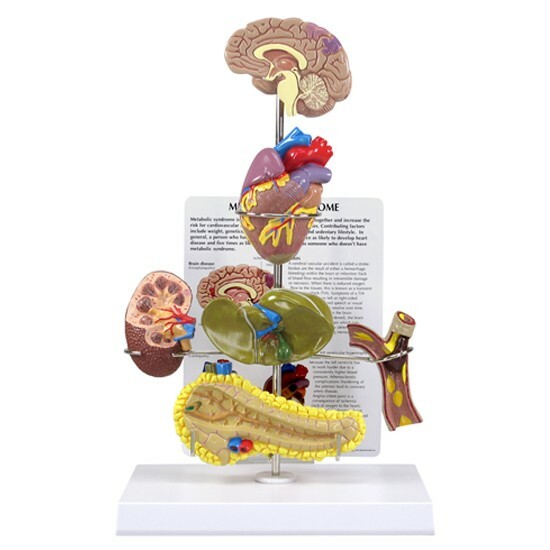 The education card depicts an Apple, Pear, and a normal section of the same areas with callouts.